Tidewater Plantation is a subdivision in North Myrtle Beach between the Intracoastal Waterway and the Cherry Grove Inlet to the Atlantic Ocean. This is a gated community nestled on an elevated peninsula of live oaks and southern pines on a world class golf course with close proximity to the most beautiful beaches of South Carolina and nearby North Carolina. Tidewater has architectural diversity in the neighborhood home sites and offers single family homes and condominiums. These properties offer a wide variety of designs and floor plans. There are properties and styles to satisfy the housing requirements of any prospective resident. As a subdivision in the city of North Myrtle Beach, Tidewater Plantations has access to public water, sewer, trash collection and public police, fire, and rescue services. Property owners, full time residents as well as seasonal, have health services in the immediate areas as well as local theater presentations, concerts, several museums and performances by top rated recording artists in a variety of venues. Life-long learners can register for classes at UNC/Wilmington and Coastal Carolina University. The minor-league baseball team, the Myrtle Beach Pelicans, as well as college and high school athletics offer sports fans plenty to cheer about! Tidewater Plantation is built around Tidewater Golf Course which received accolades since its inception from Golf Magazine and Golf Digest. As an owner at Tidewater, you are offered annual usage fee programs or special day-of-play rates. RE/MAX Southern Shores, the #1 selling real estate agency along the Grand Strand, invites you to access listings for Tidewater Plantation properties by using the search features on the left of this website. Then call a RE/MAX Southern Shores agent at 843-249-5555 for personal attention to find the housing option that is just right for YOU! 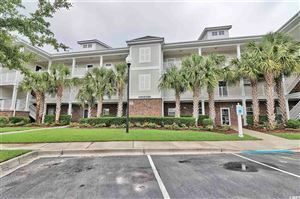 It is no wonder that so many buyers choose Tidewater Plantation in North Myrtle Beach as the location of their new condo or home. RE/MAX Southern Shores real estate agents are very familiar with North Myrtle Beach real estate market, and would be delighted to take you on a tour of Tidewater Plantation offerings as well as other North Myrtle Beach housing options. Simply give us a call at 843-249-5555 to schedule some time to make your real estate dreams come true! After seeing Tidewater Plantation it may not only be a place that you visit but also a place for you to call HOME!